/ Thought Machine / Can This Irish Entrepreneur ‘Netflix’ The Wireless Industry? Note: This post first appeared in Forbes.com. Thank you to my Forbes.com editors as always for their help. “It’s a little bit like, is the Albanian army going to take over the world?” said Jeffrey L. Bewkes, the chief executive of Time Warner, in an interview last week. “I don’t think so.” — From “Time Warner Views Netflix as a Fading Star,” New York Times, 2010. Time Warner, it should be noted, no longer exists as an independent company. Netflix, on the other hand, has a market capitalization of over $100 billion. And whatever one thinks of the Albanian army, broadcast and cable industry giants have learned the hard way not to underestimate the disruptive power of giving customers the freedom to purchase a commodity (in this case, video content) when, where and how they want. Could a Netflix-like dynamic play out in the wireless industry, long dominated by giants such as AT&T, Verizon and Telefonica? Declan Ganley, an Irish telecommunications entrepreneur, occasional politician and founder of Rivada Networks, a U.S. wireless technology firm, is betting it will. Ganley, now 50, skipped college and left Ireland to make his fortune in the then Soviet Union. It was 1988. Ganley was 20 years old. 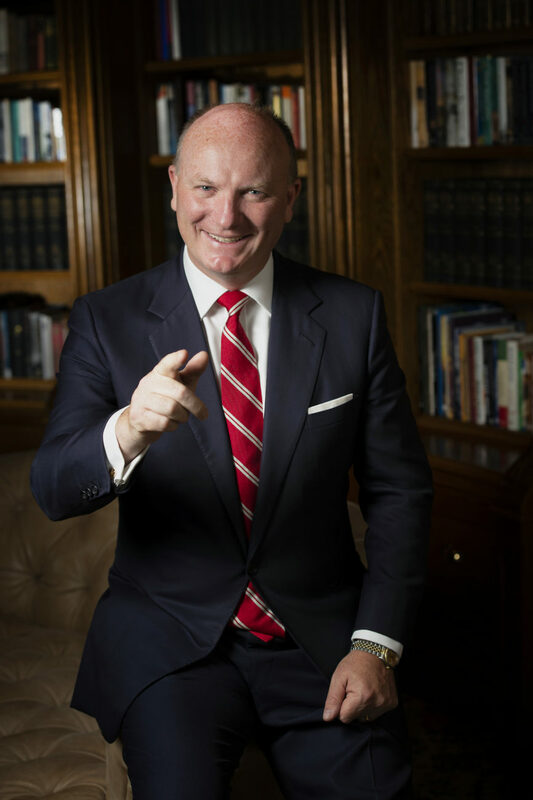 Declan Ganley, CEO, Rivada Networks. Photo courtesy of Declan Ganley. Although Ganley’s satellite insurance concept had limited success (“My American government contacts explained there was no way they would use Soviet launch services,” Ganley recalls, laughing), he parlayed the experience into more profitable ventures. He made business contacts in Latvia, then part of the USSR. When Latvia became independent in 1991, he began exporting timber and aluminum through the Baltics to the West. A series of businesses rapidly followed: Broadnet, a European wireless data company; a Bulgarian cable TV firm; an unprofitable online jewelry retailer. His entrepreneurship has extended to politics. During the 2008 Irish referendum on the Treaty of Lisbon (which would have expanded the European Union’s power over individual European governments), Ganley successfully campaigned for a No vote. From 2008 to 2009, he led Libertas, a political party that sought to reform the European Union. Although Libertas had limited success, its platform, which called for more EU accountability, still resonates in many European countries. In 2004, Ganley founded Rivada Networks. It started as a provider of wireless networks for first responders during natural disasters. Along the way, it developed technology that could revolutionize how wireless service is delivered. Rivada’s software allows wireless capacity to be bought and sold instantaneously, in whatever quantity, location or time a customer requires. It would enable a carrier-independent wholesale market for wireless high-speed bandwidth. If such an exchange existed, it’s easy to imagine Amazon bundling wireless connectivity with its offerings or large businesses buying off-peak bandwidth to back up their data. This could be especially important as new 5G wireless network technology is rolled out to enable new applications.